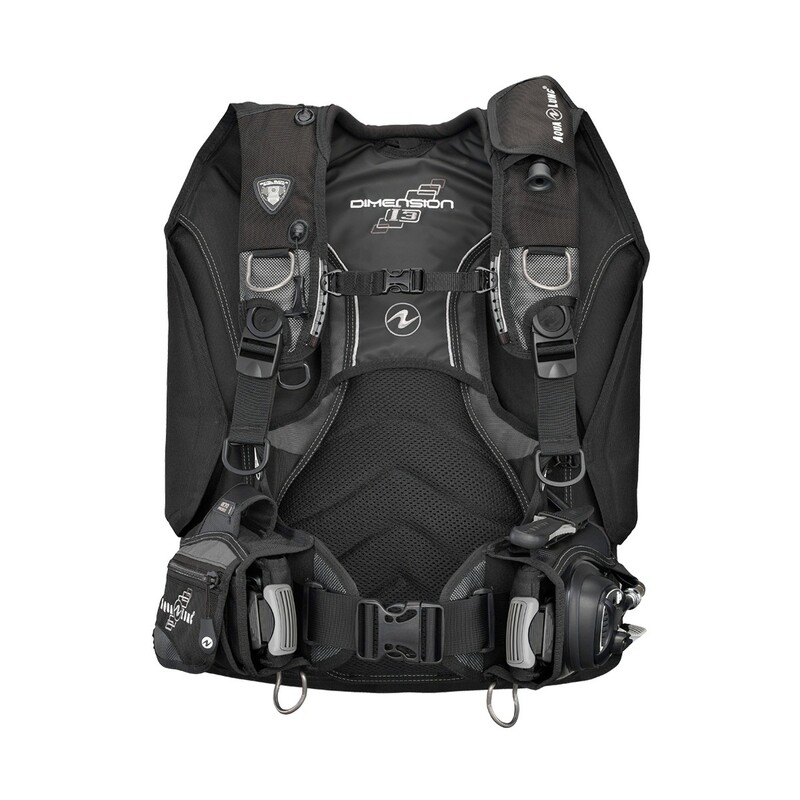 The Dimension i3 is a comfortable, stable, and durable back-inflated BC, making it a great choice for any diver. 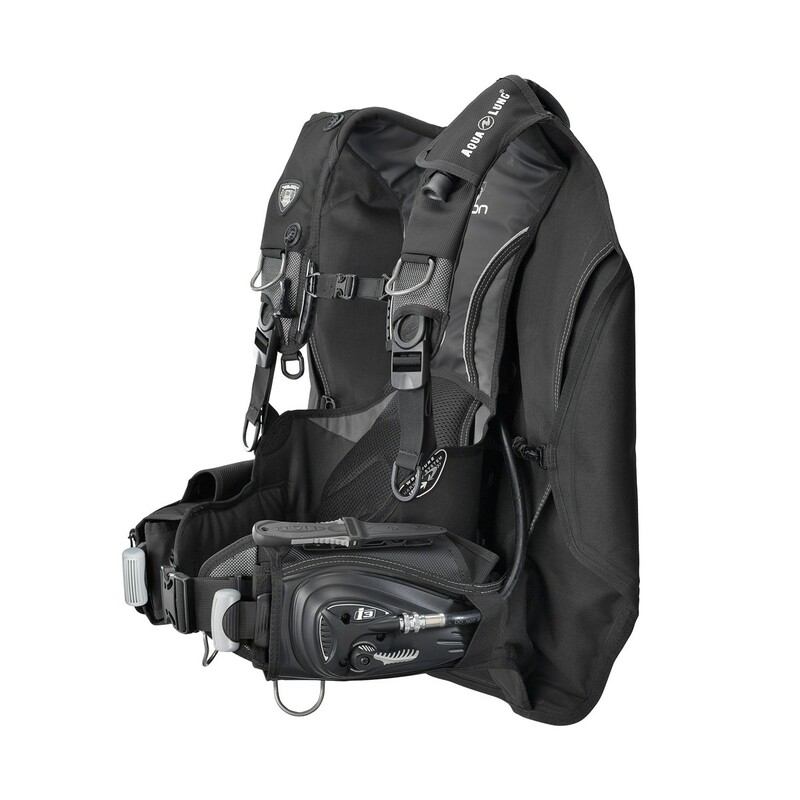 The Dimension i3 is a feature-rich, back inflation style BC that incorporates Aqua Lung's patented i3 inflation/deflation system. 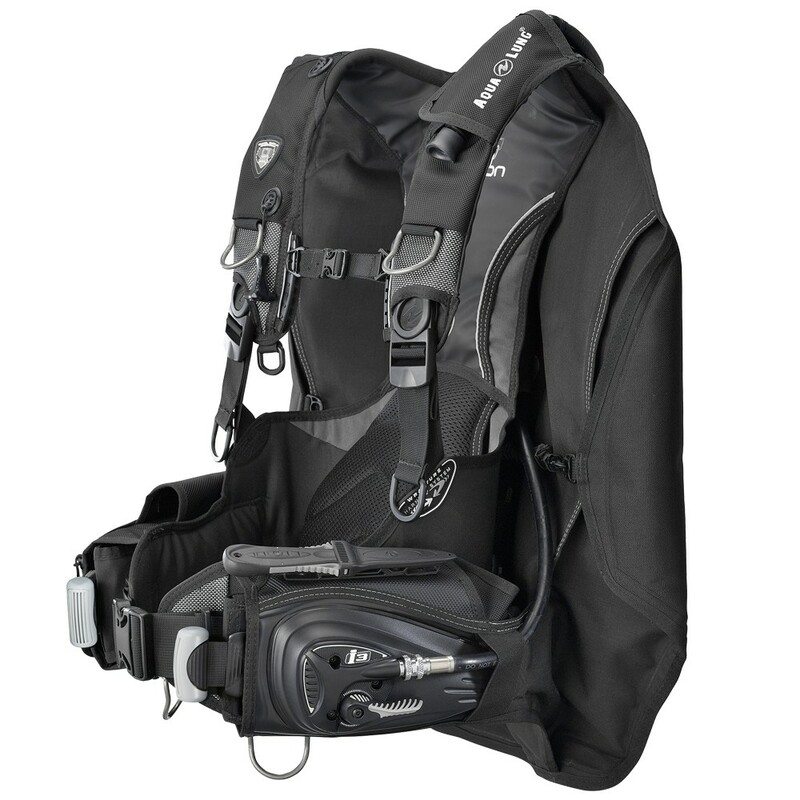 Its amazing comfort and stability come from the integrated Wrapture Harness System. The Dimension i3 is made from durable, fade-resistant materials and comes in a black/charcoal color combination. Integrated weights are held securely in place with SureLock II mechanical weight system. • The pull down oral inflator is easy to deploy, use and stow. • An adjustable chest strap can be raised or lowered on a rail system. 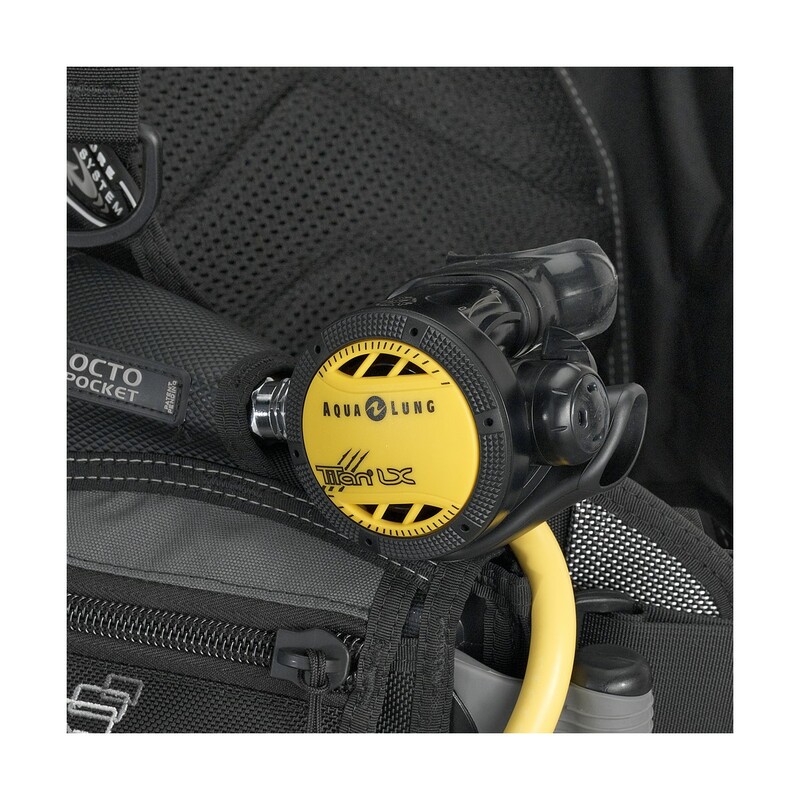 • A clever octo-pocket on the right lobe keeps the octopus accessible and out of the sand. 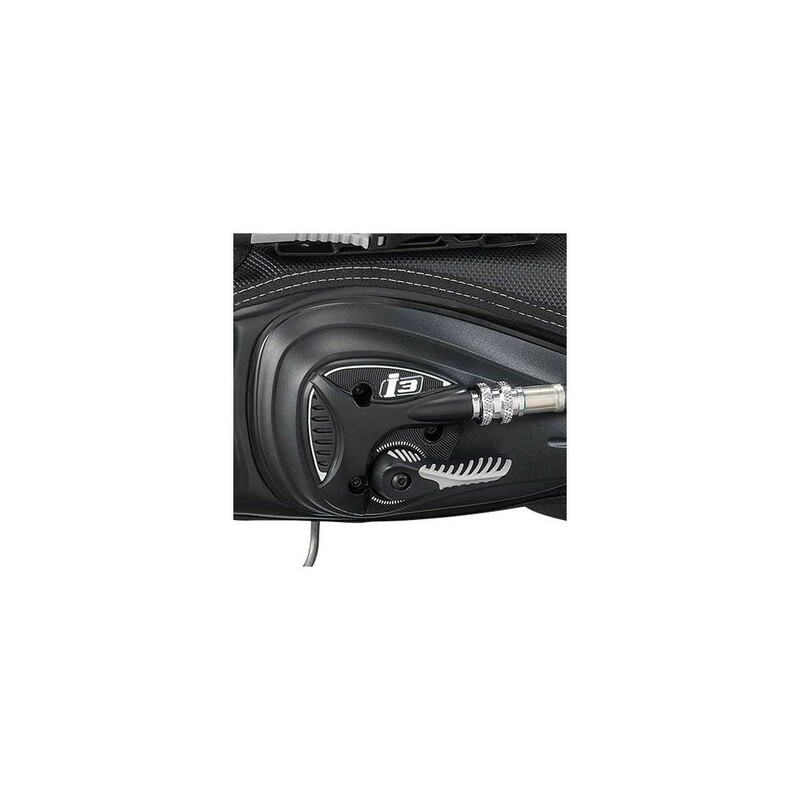 • Knife attachment points are found on the left lobe which will accommodate many of the Aqua Lung knives.